Running a business is often an overwhelming task for most business owners. This is especially true for small business owners. A small business owner has to handle marketing, promotions, deals, and inventory among many other business tasks. Now, with so many things to handle, a small business owner can easily forget about taxes. And, a mistake like this can really cost big! Even if small business owners are aware of the importance of filing tax returns and addressing various taxes aptly, they may still face problems carrying out such activities. 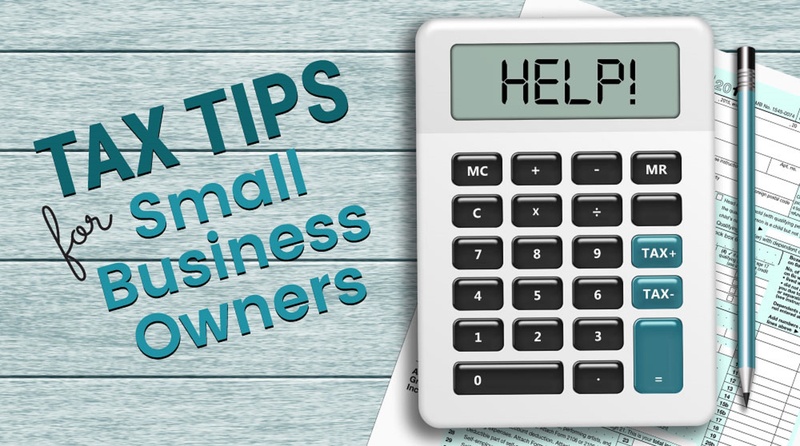 If you are a business owner, you should definitely continue reading because we present you a few practical tax tips, which are specifically designed for small business owners. An efficient tax planning is necessary for small business owners who want to ensure that their tax liability is always close to a minimum. By keeping the tax bill lower consistently, owners can create a smooth cash flow for their business. And with a smooth cash flow, growth and expansion of a business can become easy. Creating an effective plan for tax liability is not too difficult. You just need to find out and understand what tax obligations your business has and what options you have to address them. Analyse them from time to time, and you will do just fine regarding your business tax affairs. Proper financial records help show the true picture of taxes and finances. For that reason, keeping them accurate and up-to-date is necessary. You may be thinking that you are running just a small business and do not need to waste time keeping your financial records organised. However, keep in mind that usually there are plenty of transactions happening in an average small business every day. Not recording one or few transactions will give you an inaccurate picture of your business accounts. This can later on create severe consequences and may even invite HMRC investigation. Therefore, always keep your financial records organised. Carrying out proper bookkeeping is one way to ensure that everything is organised well. Many business owners make this mistake – dump the tax records of the previous years in places where they won’t interfere with their day-to-day activities. This is not advisable. In fact, even the HM Revenue and Customs (HMRC) recommends keeping the records for at least 22 months after the end of a tax year. Keeping the old tax records helps in preparation of the latest tax returns, preparation of financial statements, tracking deductible expenses, and monitoring the progress of your business among other things. Despite being careful enough, there are cases when tax issues can arise. Such issues could be very complex for ordinary business owners to resolve on their own. This is where a professional small business tax accountant can help. An expert tax accountant for small business can help you prepare and file tax returns, give practical tax advice that reduces your tax liability, and do many other things whenever any tax issues arise. For a small amount of fee, a professional small business tax accountant can do a lot of things for you. Whenever in need of a professional small business tax accountant, UK business owners go to Affinity Associates. One of the leading accounting and consulting firms, Affinity Associates has some of the best small business tax accountants in the UK who can help you take care of your corporate as well as personal taxation. Apart from personal and corporate taxation, Affinity Associates also provides top-quality accountancy services for small businesses in the UK. Explore the “Our Services” section on our site to discover more about the range of accountancy, advisory, and tax services we offer to businesses across the UK. You can also contact us by filling a simple enquiry form here: http://www.affinityassociates.com/contact-us/.